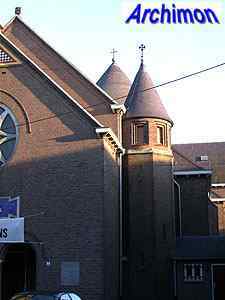 In 1798 the old church of St. Trudo was returned to the catholics. 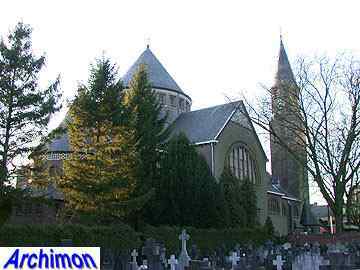 Already after only two weeks of minimal repairs the church was taken in use again by its rightful owners. In 1881 a much critisied restoration was carried out by architect P.J. van Genk in which much of the interior was destroyed. 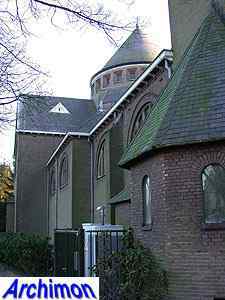 Already in 1925 a new church was built next to the old one. Despite protests the old church was demolished in 1928. The municipality managed to save the tower, but that was demolished as well only a few years later. Just one example out of many of medieval churches that were demolished by the catholics and replaced by something modern. 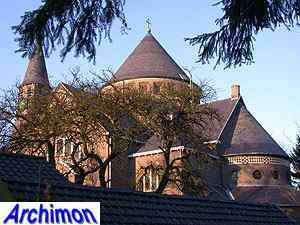 For that matter, the church of Zundert had survived relatively long. 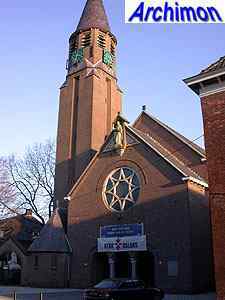 Jan Stuyt designed the new church, an obvious choice perhaps because in 1911 he had already built the church in nearby Klein-Zundert. 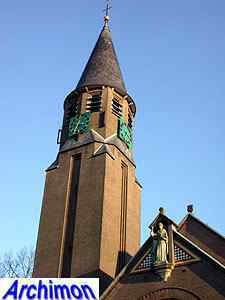 Like his earlier church in Almelo it features a big crossing-tower with a cone-shaped roof. 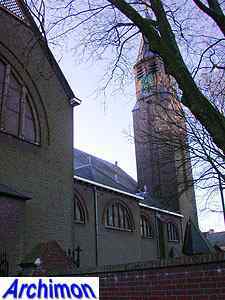 The church itself shows elements of Expressionism. 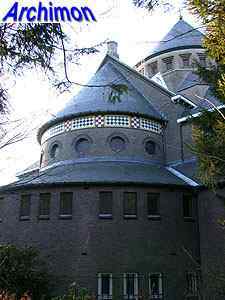 The nave and the transepts have large semi-circular windows, an element Stuyt used in several of his later churches. 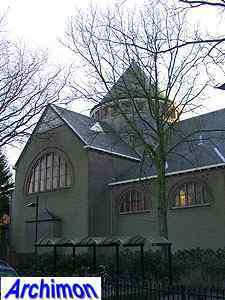 The choir is of the semi-round type with ambulatory, covered by a roof shaped like a half cone. The church has a wide central aisle and two narrower side-aisles, in front of one of which is the tower, on top of which is a cone-shaped spire.